How I got started online? I simply followed the five pillars of trust. Authority, Explanations, Simplicity, Follow-up, Security. 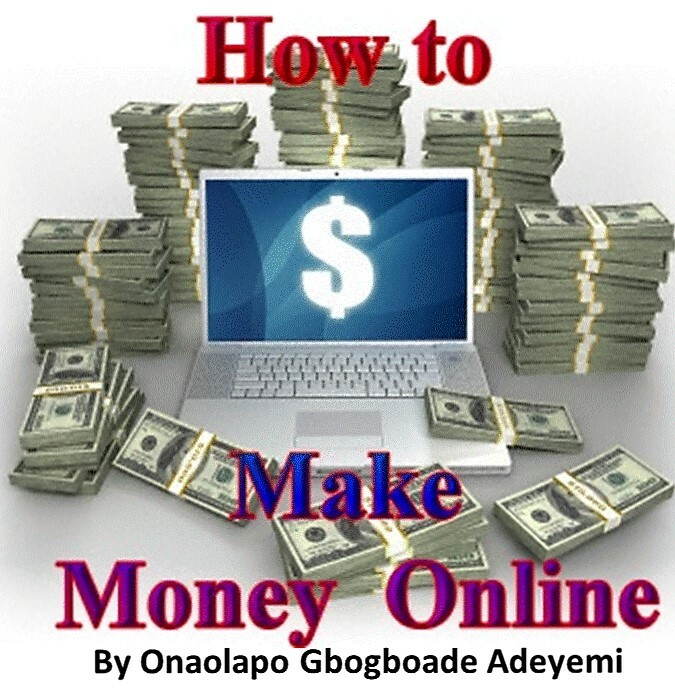 Hello, my name is Onaolapo, author of How to Create and Sell Websites Online for Profit, and How to Make Money Online From Anywhere in The World. eBay.com was my first stop, that was where I made my first sale way back in 2003. Auctioning all kinds of stuff gotten from storage businesses was kind of a “thing” back then. I auctioned different kinds of stuff that I purchased from storage at very low prices. As time goes by I decided to buy new stuff to resell. I didn’t make much money selling new stuff because of the profit margin but I was experimenting. Aside from the profit margin, there was a lot of fraud on EBay.com targeted towards sellers, and eBay wasn’t doing anything about it, or maybe they did, but it wasn’t enough to protect the sellers. Due to the fraudulent activities, I decided to take a break from eBay and find another means of making money online. A few months after I laid off the eBay business, I stumbled upon an advertisement from Google about AdSense and how publishers could use the program to monetize their Websites. The early trials were introduced around June 2003. I immediately registered and joined Google AdSense. AdSense made me some money, but not as much because I did not really understand how to lead traffic to my one and only Website, and I didn’t bother to learn much about AdSense because I had my regular job. It was rough working with my tight schedule. Also, I discovered that to make it online, you need the right mentality and the right kind of people to support your every move. I started searching online for a mentor and that was when I came across a wonderful book. I read a book written by a Canadian marketer, James Martell – Author of Online Success for NON-TECHIES – How to Take Your Business, Hobby or Profession to the Internet, and it changed my life forever. That was the beginning of my internet career. What I learned from that book changed my perception towards making money on the internet forever. I still refer my students to read that book to date. I personally believe the book should win an “Evergreen” Award. A few months later, armed with what James Martell had explained in his book, I started working on my “affiliate marketing” skills and I took my technical knowledge to the next level while branding myself. While working on my newly found skills amidst my busy regular 9-5 work tight schedule, I stumbled upon another great Website called AssociatePrograms.com owned by Allan Gardyne (The site has since been sold to Jay Stockwell). I learned a lot from this Australian author as well. As a matter of fact, I got my first $2 affiliate commission from the affiliate program that he recommended. I learned a lot through Allan Gardyn’s blog and newsletters on how to chose and pick winning affiliate products that will pay well, as well as how to position myself as an authority. James Martell’s book showed me how to monetize my existing skill on the internet. Something I still do till date. I believe Mr. Allan is now retired from affiliate marketing. After my first dollar from affiliate marketing, I decided to continue digging and I found another cool guy called Mark Ling who owns Affilorama. I learned a lot from his blog and videos through which I still apply to my affiliate marketing business till date. If you want to learn how to make money through Clickbank, Mark Ling’s beginners guide of Pathway to Passive Income is the best place to start. From that point forward, it was all about my own inventions with the help of God and some digital tools. I hope I have been able to motivate you. Remember that knowledge is power. You should never stop learning. I will share all the business tools I use with you and how I use them to earn monthly recurring income online. You can simply replicate the process and say goodbye to unemployment. Once again, it’s great to have you here on my Website. I would love to hear your own story. Leave me a comment in the comment box below. Welcome on board and see you on the inside. or services, neither do I create false reviews to make sales. It is my intention to explain in details how those products work/operate so that YOU can make informed decisions on which of the product(s) will best suit your need(s).